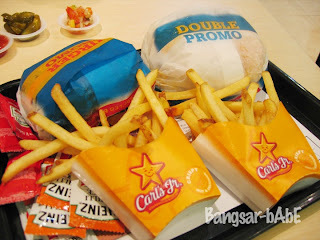 Sis and I were in Mid Valley a couple of weeks ago and decided to have Carl’s Junior for lunch. I ordered the Double Guacamole Bacon Cheeseburger while she had the Portobello Mushroom Burger. We were there around 12-ish on a weekday so there was no crowd yet. 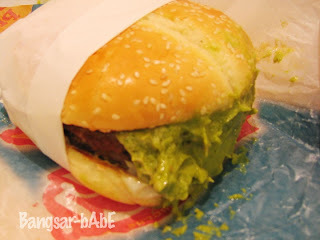 The mushroom burger was not bad but after tasting the guacamole burger, this one did not stand out. 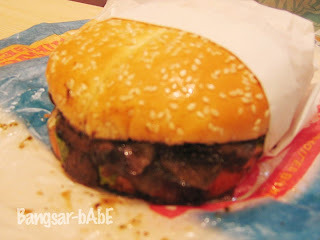 Tasted like the Double Mushroom Swiss from Burger King but bigger and juicier. They were quite generous with the mushrooms and cheese. Fries were average…no where as good as McDonald’s. 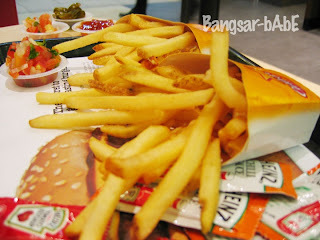 Lunch cost us RM 50.90. Price-wise, I thought it was a bit too steep for fast food. Our burgers didn’t feel “fresh out of the grill”. 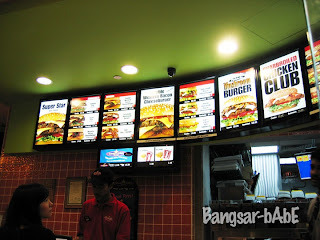 I suspect they prepared the meat patty beforehand and assembled the burgers when we placed our orders. They would have tasted better freshly grilled. Verdict: Pretty good burgers at sky-high prices. Not something you can afford on a regular basis…unless you grow money on trees. 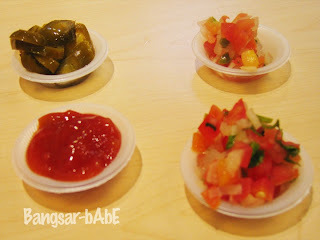 Which one is salsa sauce? So would you say that the burger’s are more value for money then chilies? Chilis is still more worth the money…with quite big portions too.